1. 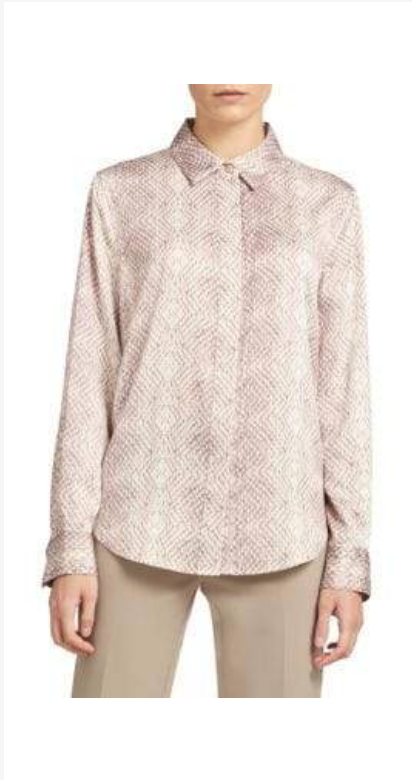 You have to look closely to even realize that this blouse has a snake print—there's almost a geometric quality to it, that's softened by the pinky colors. As a bonus, it's on major sale too. 3. As someone with a freakishly short torso, I often have trouble with one-piece swimsuits, but this one is so chic, I'm willing to try again. 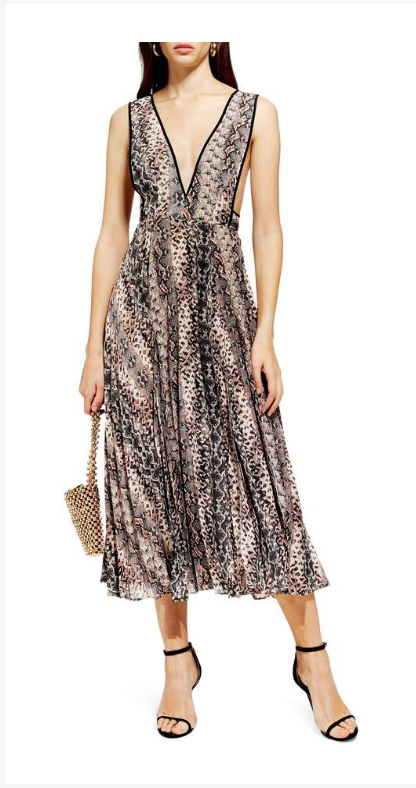 Note the strategic placement of the print—it has a smaller scale at the waist to make the most of your curves. 4. I buy nearly everything but clothes on Amazon, but this blazer just might make me get in on that too. It's a statement, but in a cool, neutral kind of way. 5. Are platform shoes back? Who cares? 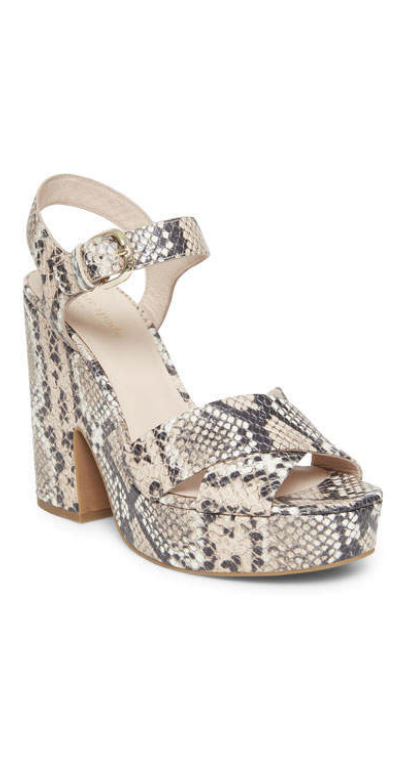 These are super cute, and they look pretty comfy too. I feel like Kate Spade is killing it right now, and I'm here for it. 6. 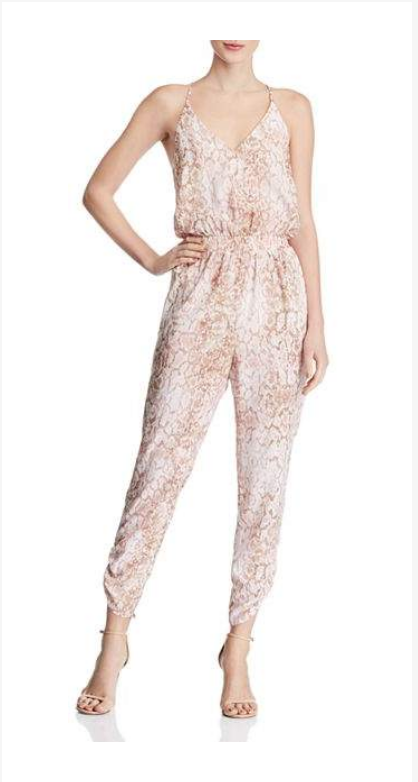 You may recognize this print from my birthday wish list; I sadly missed out on the dress but feel like this jumpsuit may be my redemption. The print also comes in a pants version, which is just as fun. 7. 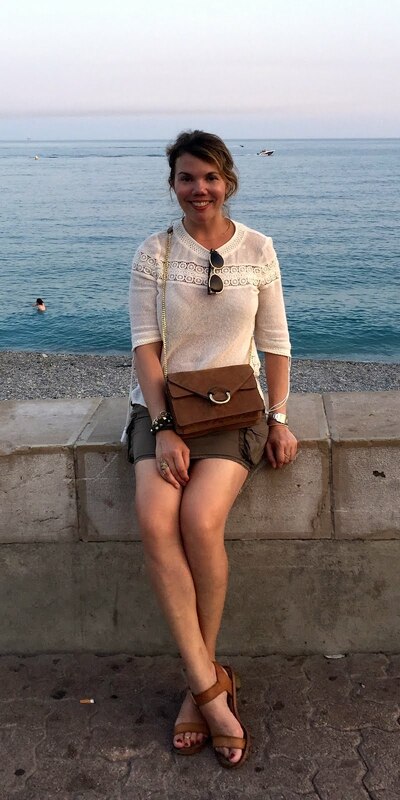 To me, skirts are the easiest way to wear a trend—they're generally flattering, and they keep the trend in question far enough away from your face, where things can sometimes get too busy. This one has a beautiful drape to it and an ideal length. 8. I am breaking one of my Cheryl Shops rules, in that this dress is not at all bra-friendly. But it's just too good—I had to include it. The design is so chic, and I love the pleated skirt. This would be perfect for a summertime wedding. Hopefully someone out there can rock it braless! That snake print swimsuit is gorgeous. Very elegant. 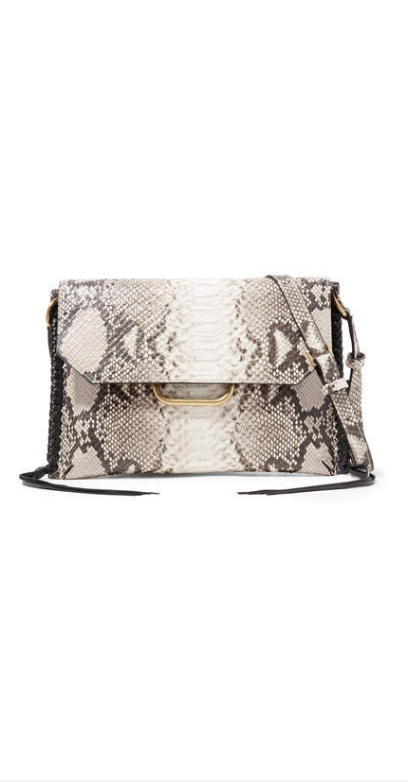 I have to agree, I love snakeskin in more of a muted, light gray or blush shade too! Lovely picks, esp that jumpsuit!! !